Schizophrenia may develop much early than previously thought. Michal Stachowiak, professor in the department of pathology and anatomical sciences at the University at Buffalo, discusses new findings that show the early stages of pregnancy as the starting point. 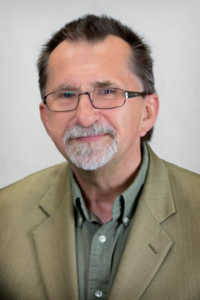 Michal Stachowiak, PhD, is a professor in the Department of Pathology and Anatomical Sciences in the Jacobs School of Medicine and Biomedical Sciences at the University at Buffalo. He is currently serving as a Fulbright Distinguished Professor and Chair of Medical Sciences at the Polish Academy of Sciences and the Medical University of Gdansk. Stachowiak is interested in understanding neural development as it relates to developmental and aging-related diseases and their effects on brain function and behavior. Among the achievements of his lab are the development of a new transgenic mouse model of schizophrenia and models of Parkinsons’ Disease and Huntington disease. With other colleagues at UB, he is also exploring how to deliver gene therapy to the brain using nanoparticles. He teaches neuroscience and developmental neuroscience and he helped to develop a graduate neuroscience program at UB. Schizophrenia is the most severe chronic mental illnesses, affecting nearly 2% of the world population. The first symptoms of schizophrenia may appear in childhood followed by psychotic episodes typically in adolescence. Currently there is no cure. After centuries of patients suffering horrendous treatment, our findings now reveal that schizophrenia is a disorder of faulty brain construction during the first trimester of pregnancy, and is driven by a common dysregulated pathway. To reconstruct important stages of brain formation in the lab, we used induced pluripotent stem cells which were reprogrammed from skin cells taken from three controls and four patients. We grew these cells into miniature cerebral organoids which resemble the developing human brain early in pregnancy. We found that certain kinds of progenitor cells (which later become neurons) were abnormally distributed in the organoid cortex, and while maturing neurons were plentiful outside of the cortex, they were rare in the cortex. We found that neurons that connect different cortical regions are misdirected, causing the schizophrenia cortex to work like a miswired computer. These cortical changes may lead to the major symptoms of schizophrenia: disruptions in memory, attention, motivation and cognition. We are now using organoids to investigate how to correct this abnormal cell growth in the brain. Our ultimate goal is to prevent schizophrenia from developing in the first place.